As a little girl visiting my family in Maine, a typical week involved a visit to one of the local cemeteries. I’ve always thought cemeteries get a bad rap. They have never been creepy or spooky to me; many of them are quiet, peaceful, and beautiful. While my grandmother or my mom would plant or water flowers by my great grandparents’ graves, I would take a walk through the nearby sections. The humble headstones that stood over the final resting places for most people told amazing stories through age alone, but the enormous mausoleums never failed to capture my attention and imagination. I would stand before them, gazing up at what seemed like small castles before me, and wonder what kinds of kings and queens might be so important that they would have their own small houses—not just gravestones—to memorialize their lives. 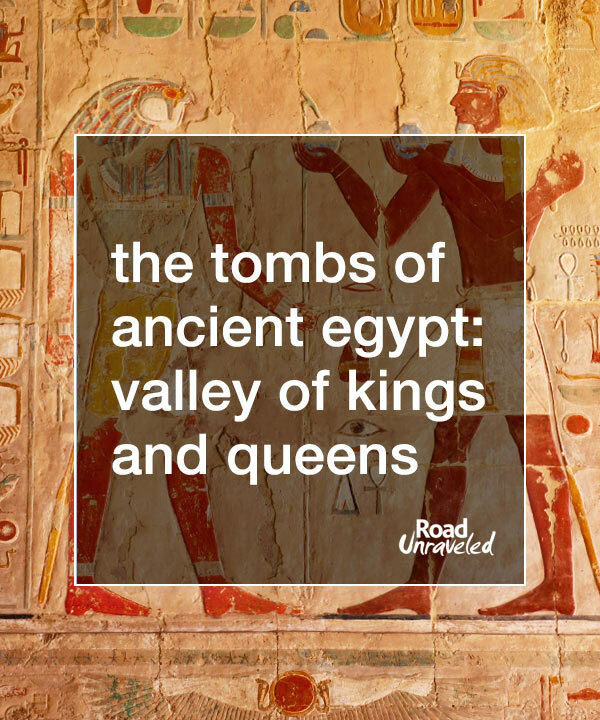 30 years later, standing at the entrance to the tombs in the Valley of the Kings in Luxor, all of those feelings of amazement came rushing back to me—and this time, real kings and queens were involved! Adam and I have included cemeteries and other final resting places into many of our travels—from the haunting beauty of the Bone Church in the Czech Republic to the colorful small city that is Buenos Aires‘ Recoleta Cemetery—but the Valley of the Kings and the Valley of the Queens near Luxor are a different kind of remarkable. 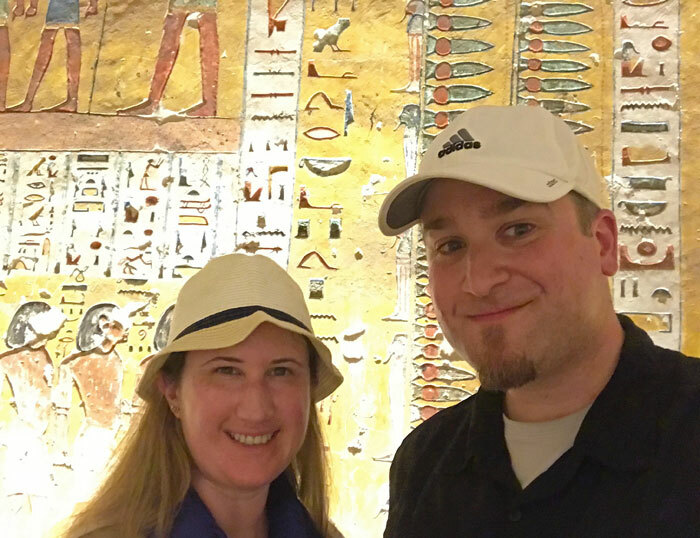 During our trip to Egypt we spent a full day visiting the two locations, which make up an elaborate burial complex that once housed the remains and belongings of some of ancient Egypt’s royalty. No trip to Luxor is complete without a visit to both destinations. 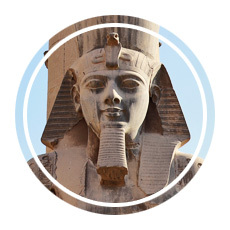 This is our guide to the history you’ll uncover and the experience you’ll have if Luxor is a destination you plan to explore. 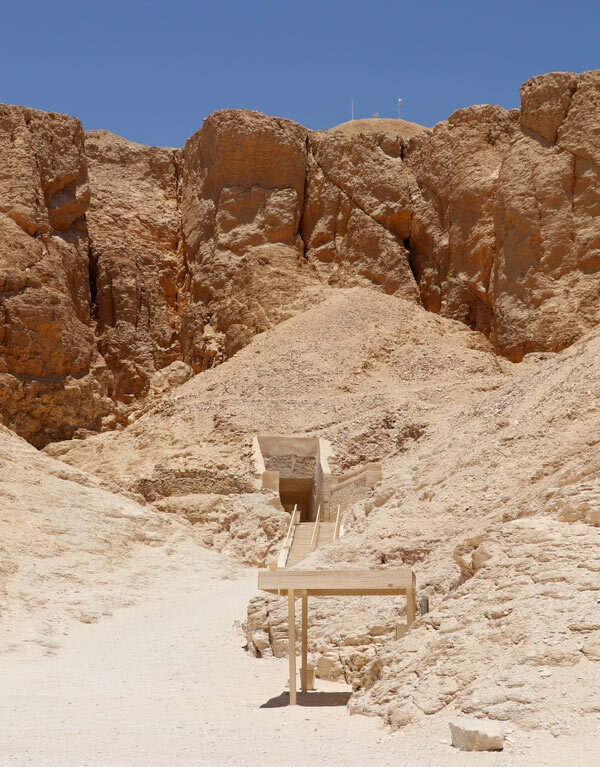 Although the Valley of the Kings in Luxor might evoke images of mausoleum-like structures dotting the horizon, from a distance—and even upon approach—it looks like nothing more than a series of caves. 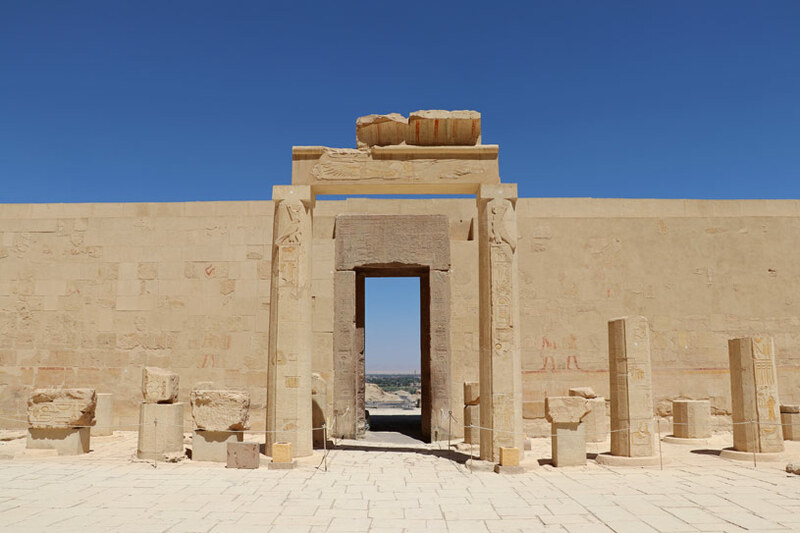 In fact, that is exactly what it is: a quick walk through would reveal nothing more than a series of doorways within the limestone rocks of the Theban Hills. 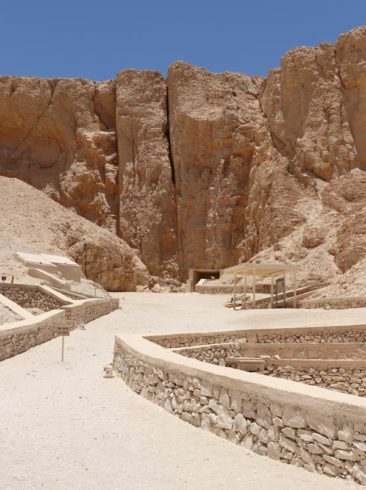 The Valley of the Kings dates back to 1539 BC, which makes it significantly younger than the great pyramids of Giza that were constructed as burial chambers. At that point in Egyptian history, pharaohs were not building elaborate pyramids as they had centuries before. Instead, they favored burial in the Valley of the Kings, where they could select the location for their tomb well in advance of their death. 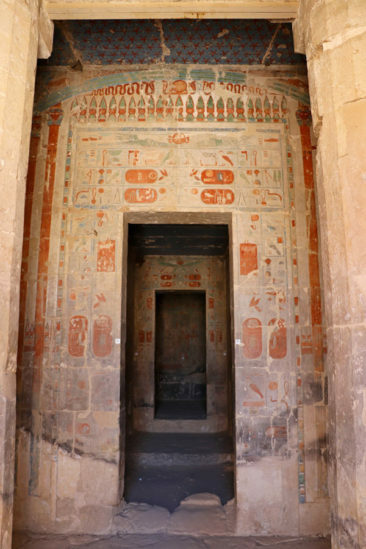 The oldest tombs, which were built during the 18th Dynasty, were built with lengthy corridors that extended at a decline and opened into rooms or halls. Most tombs had multiple rooms, with the final room serving as the burial chamber. 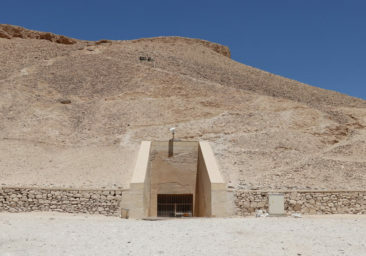 Tombs built during the 20th Dynasty had a minimal or no decline, which meant the tombs didn’t require descending down a steep staircase or ramp to reach the rooms and burial chamber. 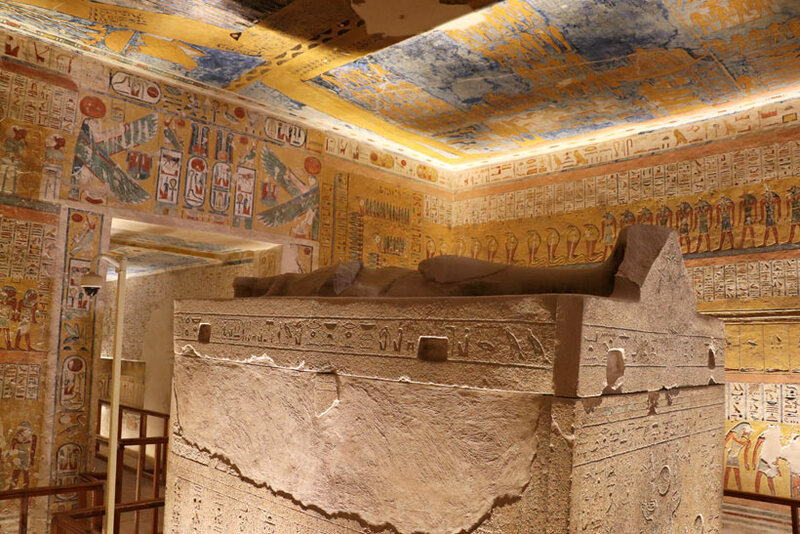 The interior of the tombs varied a bit, but many of them—especially the newer tombs—were ornately decorated with colors, hieroglyphics that told stories about the pharaoh, and religious verses. Each tomb’s burial chamber was specifically set up to provide a comfortable afterlife for its occupant, often including personal belongings. Who Is Buried in the Valley of the Kings? 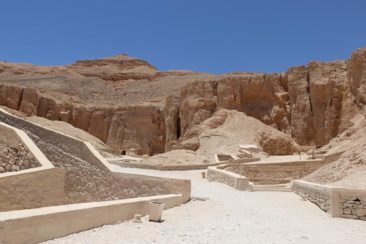 The Valley of the Kings houses 63 tombs, with the oldest belonging to Thutmose I. Thutmose I was the third pharaoh during Egypt’s 18th Dynasty. Most known for guiding the development of the Temple of Karnak with architect Ineni, he was buried with his daughter Hatshepsut—herself an Egyptian pharaoh—in the first tomb constructed in the Valley of the Kings, which is now known by its identification number KV20. 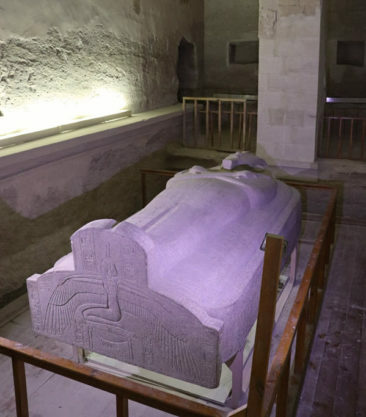 He was later relocated to a nearby tomb, KV38, which archaeologists have determined was built after his death during his grandson Thutmose III’s reign. Hatshepsut remained alone in KV20 after her father was reburied. Akhenaten, or Amenhotep IV, was discovered in KV55. A pharaoh during the 18th Dynasty, he played a significant role in shaping religion when he introduced Atenism, or worship of the sun. He married Queen Nefertiti, whose face is prominent throughout Egypt and is somewhat symbolic of Egyptian history, and while her tomb has not been definitively identified Akhenaten was without question interred in the Valley of the Kings. Despite its name, the Valley of the Kings contained only 20 tombs dedicated to Egyptian kings. The other tombs belonged to queens, children, and other nobles; additionally, some tombs were found to have only embalming materials and other artifacts. 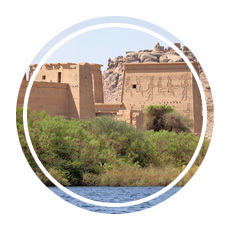 This video provides some additional insight into the history of this fascinating area of Egypt. 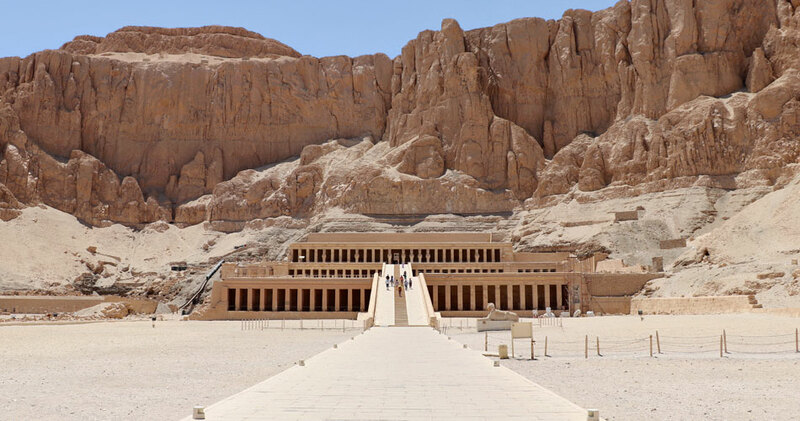 Visiting the Valley of the Kings is one of the must-do experiences in Luxor, and it provides a first-hand look at just how artistically talented the Egyptians were and how revered their pharaohs were to them. 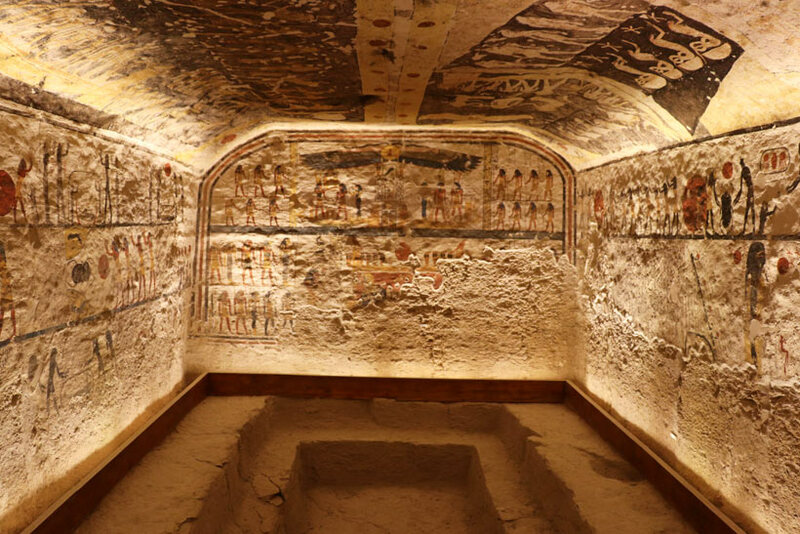 An entrance ticket includes a visit to three tombs, which means you have the opportunity to enter and explore only three of the tombs unless you are willing to pay more. Some tombs, like King Tut’s, cannot be seen as one of the three included with your ticket, and it is more than the cost of a single ticket to add it to your itinerary. 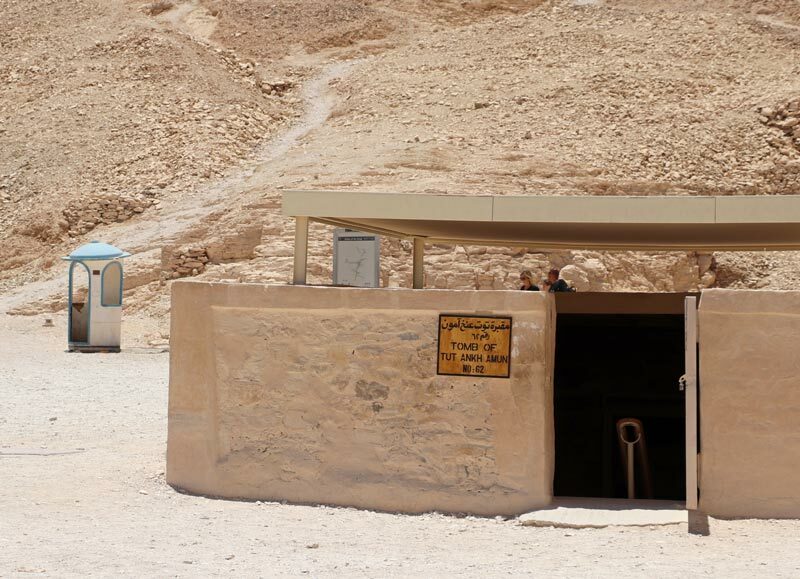 We opted not to see King Tut’s tomb upon our guide’s recommendation, although in retrospect we wish we had paid for the additional fee and spent the extra time. Instead, we chose three tombs to visit from the small handful that are open to the public. Ramses IV was buried in a large tomb that features an incredible amount of hieroglyphics and artwork as well as a significant amount of graffiti leftover from the Ancient Greeks and Romans who found the tomb centuries ago. 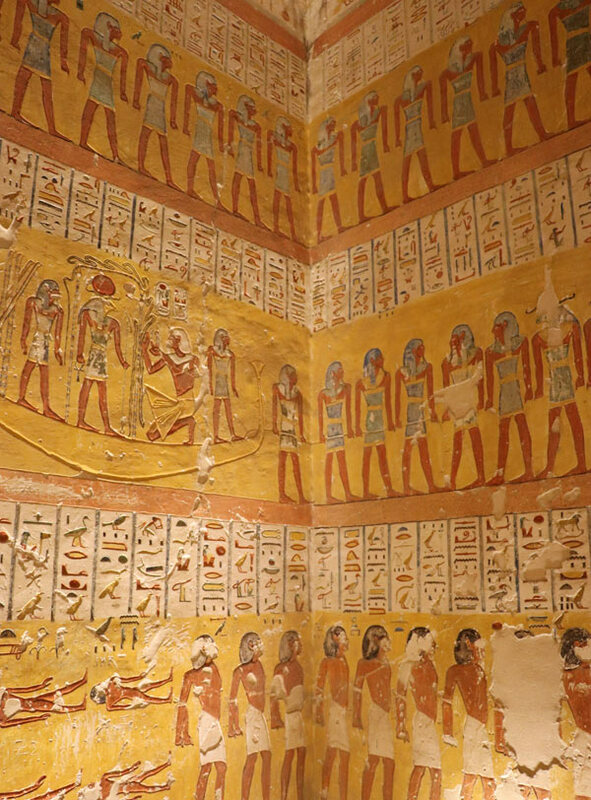 The artwork inside Ramses IV’s tomb depicts scenes from texts including the Book of the Dead, the Book of Caverns, and the Litany of Ra, which was a funerary text in Ancient Egypt. 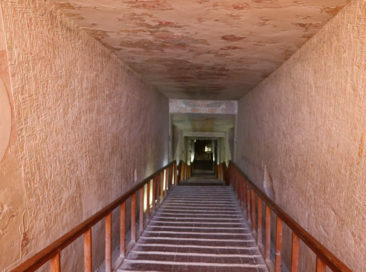 The tomb is long and dark, and some of the artwork has faded considerably, but it’s impressive and worth visiting. 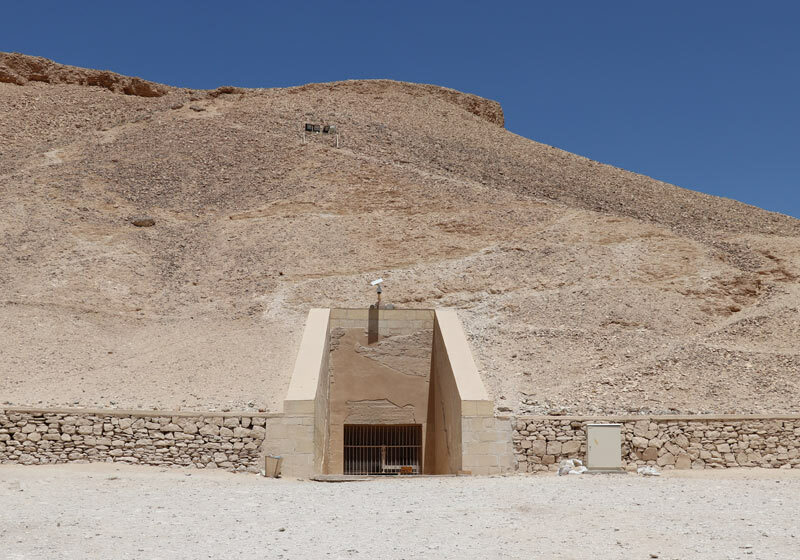 While just as remarkable as Ramses IV as far as art and décor is concerned, Ramses IX’s tomb is interesting for another reason: it is partially unfinished. Egyptologists believe that the tomb was not finished before Ramses IX died, and work to complete it before his burial was done quickly and with a lesser focus on quality. In some places it’s clear that some projects were not complete before work stopped, particularly in the burial chamber where several unfinished scenes adorn the walls. The burial chamber, which was emptied by tomb robbers, stands in an eerie haze of incompleteness, which adds to some of the mystery. The final tomb we visited required the most effort: Merenptah, a 19th Dynasty pharaoh, had a tomb that declined at such a steep angle that we found ourselves carefully choosing out footfalls on the way down so as not to slip and testing every one of our leg muscles when we walked back up. This tomb was fascinating, though, primarily because the outermost layer of his sarcophagus is still in place (the mummy, of course, is now in a museum). 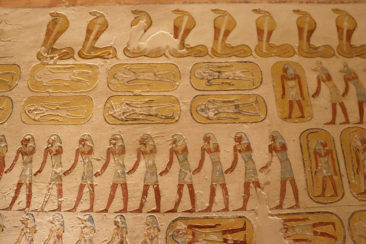 While the hieroglyphics and art was a bit more faded, seeing the sarcophagus in the burial chamber was a great way to imagine how many people were laid to rest in a similar fashion. 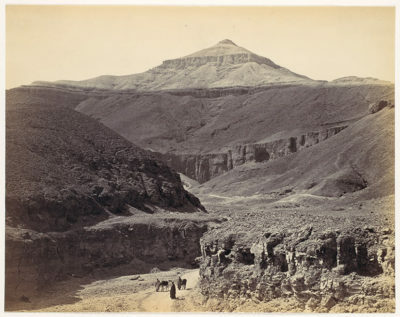 Not far from the Valley of the Kings is the Valley of the Queens, where the wives of many of the pharaohs were buried. While some women were also buried in the Valley of the Kings, the Valley of the Queens is the final resting place for many women including Nefertari, the wife of Ramses II. Structurally, the Valley of the Queens is very similar to the Valley of the Kings. Tombs built into limestone caves housed the mummified remains of more than 30 queens and princesses as well as several princes. 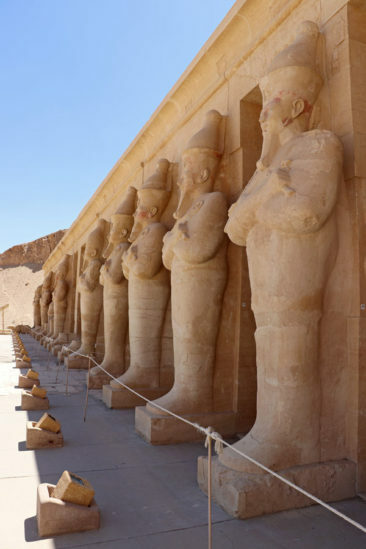 Somewhat between the Valley of the Kings and the Valley of the Queens also houses the impressive Temple of Hatshepsut. 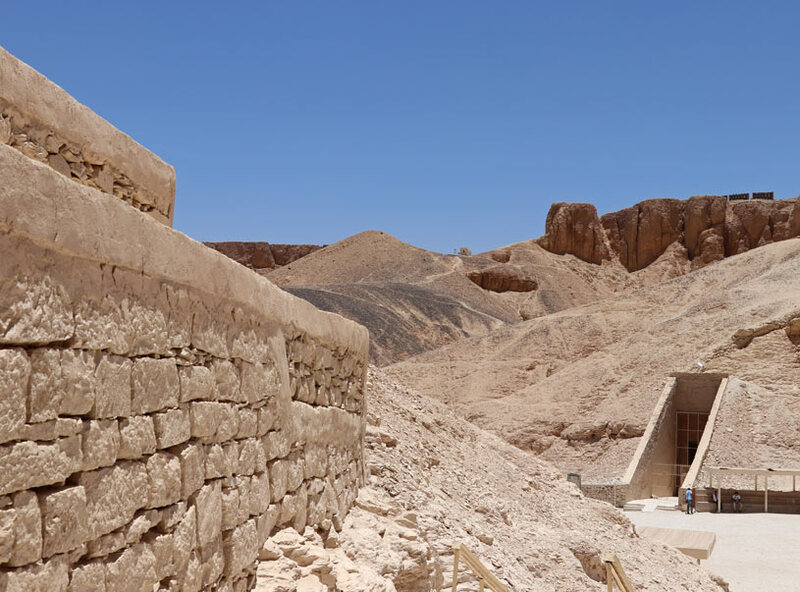 Although Hatshepsut was buried in the Valley of the Kings with her father Thutmose I, the mortuary temple was constructed both in her honor and to honor those gods that may play a role in her afterlife. The temple is built to mirror the temple of Mentuhotep II, which is located close by and almost dwarfs in comparison to Hatshepsut’s own temple. 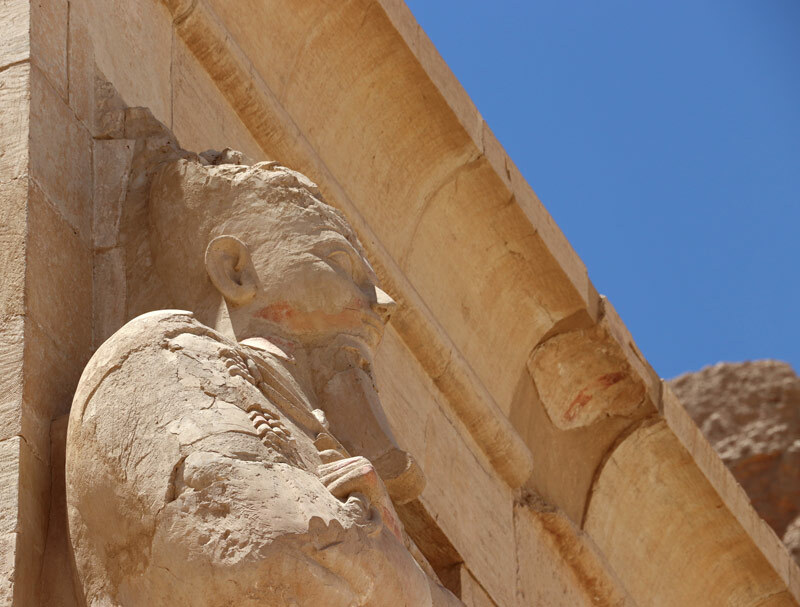 The Temple of Hatshepsut was commissioned shortly after her reign began, and its intent was to tell her life’s story. Indeed, it is grand on many levels: the entrance is flanked by lions and sphinxes, leading up to the three-story construction. The walls share her version of her life, starting with her birth as the daughter of the god Amun. While her father was, of course, Thutmose I, stating that she was the child of a god legitimized her reign despite the fact she was a female. 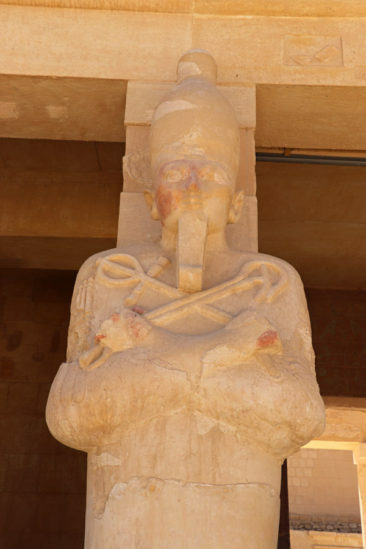 One of the more fascinating stories related to Hatshepsut is that history almost didn’t remember her reign at all. A commonly told tale says her stepson, Thutmose III, attempted to erase her memory from the history books by destroying many of the monuments built to her and backdating historical records to show himself reigning immediately after his father, Thutmose II. While many portions of her temple were defaced or destroyed, somehow the story of her divine birth remained intact. The truth behind that story is questionable; some research suggests her monuments were destroyed after Thutmose III’s own death, which would mean he didn’t bear a grudge at all. Whichever version is true—or closest to true—it calls attention to the challenging family dynamics during a time in Egyptian history when positioning for power was a typical part of life. It’s also a great monument to one of the very first truly powerful women on the planet: more than royalty, Hatshepsut was a leader and has earned her place in world history. Tour guides are not able to enter the tombs, so while it can be helpful to take a guided tour you will need to ask questions before or after you visit the tombs in person. 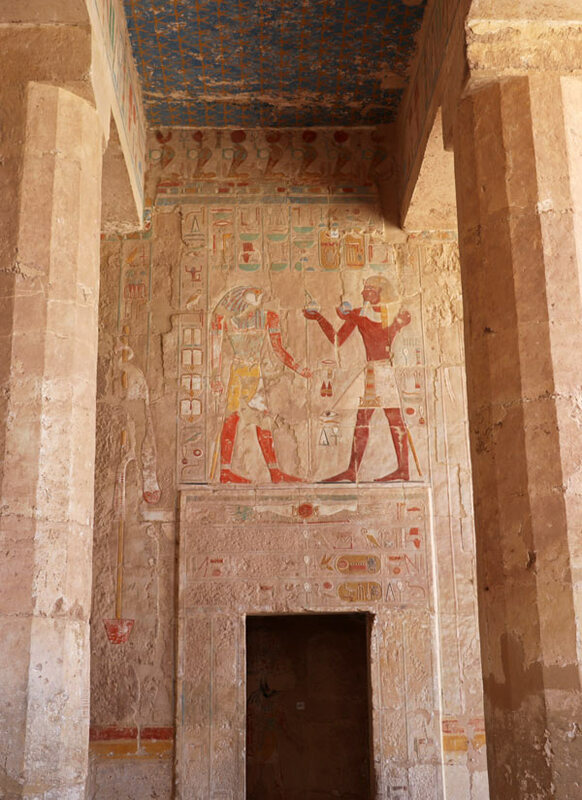 Our guide provided some historical context and an explanation about what we would see before we entered the tombs, which allowed us to gain some perspective before seeing the hieroglyphics with our own eyes. Be sure to observe the tomb in detail so you can ask questions after the fact, when a guide’s information will make more sense to you. One of the reasons tour guides can’t enter the tombs is because they are monitored by locals who check tickets and otherwise offer advice. Because of the language barrier we weren’t able to understand much of what they were suggesting to us, but they did make it clear that they expected a tip from us for their services—even though we didn’t use them. Carry some very small bills with you to thank them for their help. If you don’t have small change, tips are not compulsory, but they will follow you for quite a while as they request something for their efforts. 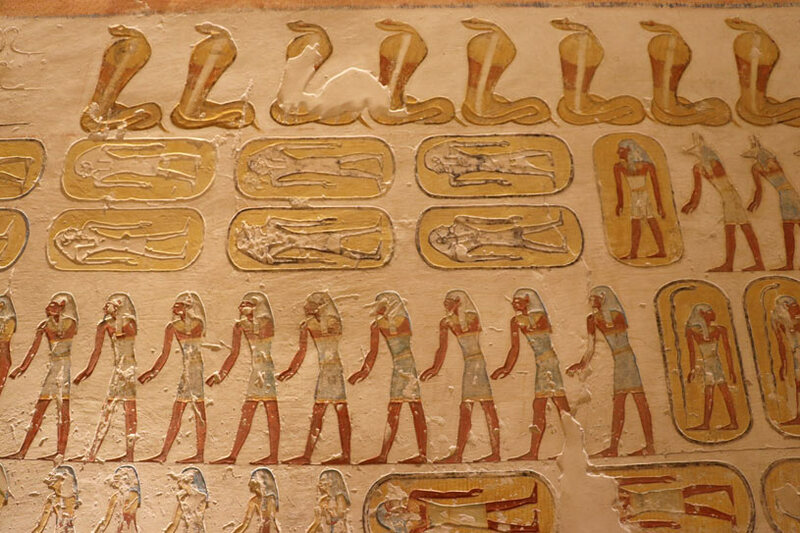 If you would like to take pictures inside the tombs, you will need to purchase a photo pass along with your ticket. The pass isn’t cheap—we paid 300 Egyptian pounds (about 17 USD), but we were then able to take as many pictures as we wanted. 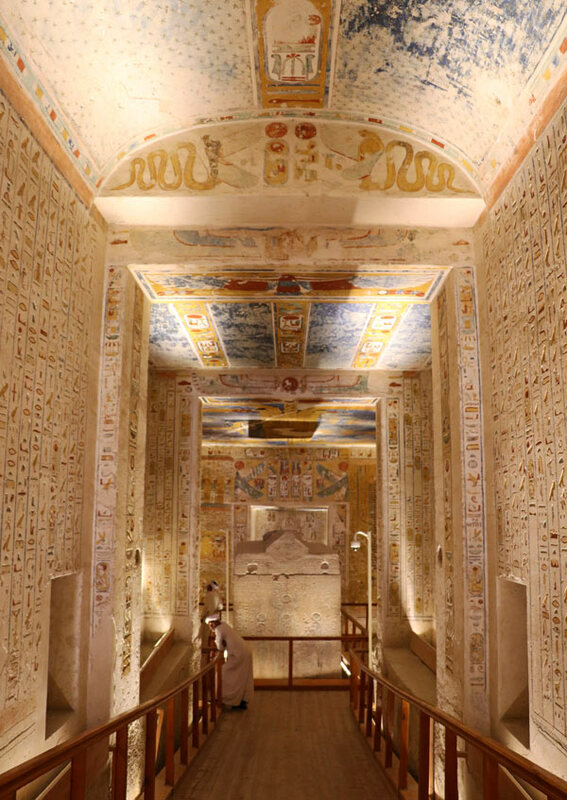 You will not be able to use the photo pass in King Tut’s tomb or the other tombs with an additional fee (including Nefertari and Seti I). This is a little different from preparing for the sun—the tombs themselves were incredibly hot. We underestimated the fact the stale air wouldn’t benefit from any circulation, and the further inside we went the hotter it felt. Consider taking a small battery-powered fan, which provided a little bit of relief from some uncomfortable conditions. Our visit on a bright, sunny day left us pretty drained, and we drank more water than expected. Pack plenty to keep yourself hydrated, and don’t forget a hat and some sunscreen to protect yourself as you walk between the tombs. 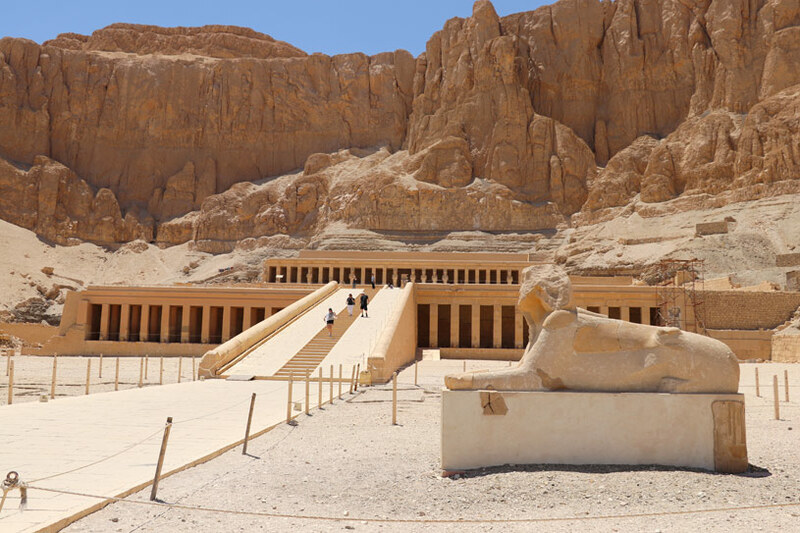 Visiting Luxor and the Valley of the Kings and Queens is a truly memorable experience, so take your time as you explore the tombs and don’t rush yourself. We found ourselves wishing we had asked for a little longer to enjoy the experience, and in retrospect I wish we had requested a second entrance ticket so we could see an additional three tombs. 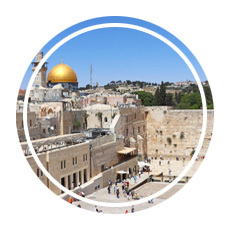 It’s a once-in-a-lifetime trip that we wouldn’t mind repeating! 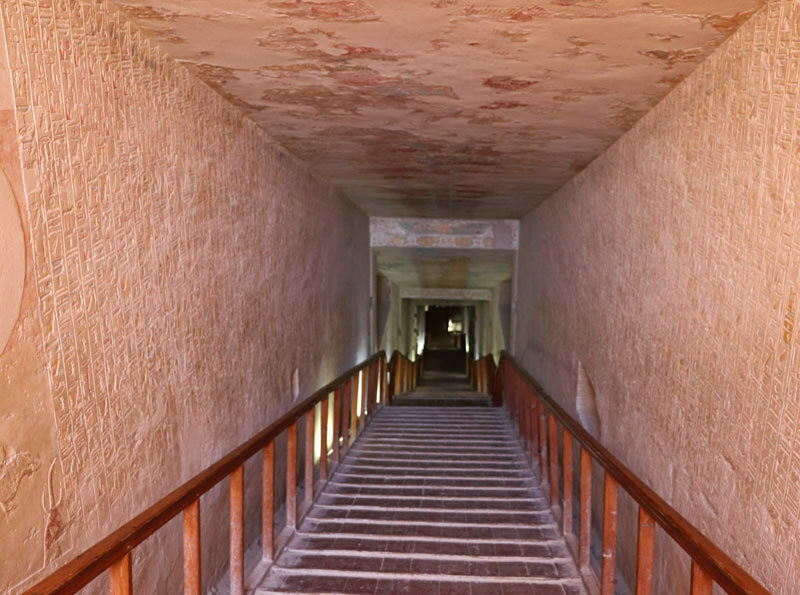 Are you planning a trip to see the Egyptian tombs? Luxor is the best place to start. Here are some deals to consider. Enjoy Luxor and the Valley of the Kings and Queens! Some of ancient Egypt’s most amazing moments played out in Luxor, and the Valley of the Kings and Queens pays tribute to the people who led the country through several dynasties. If you travels take you to Egypt, be sure they also include a day wandering through the amazing tombs that are so well-preserved even today. You’ll never look at a cemetery the same way! Have you been to Luxor and visited the Valley of the Kings? Leave a comment below and let us know if you have any additional tips for people planning their trip. 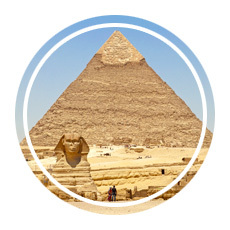 Looking for more places to visit in and around Egypt? Here are a couple more posts to check out.